During Tuesday’s sessions at the Consumer Electronics Show in Las Vegas, the word of the day was “data.” For some data was akin to a higher power. 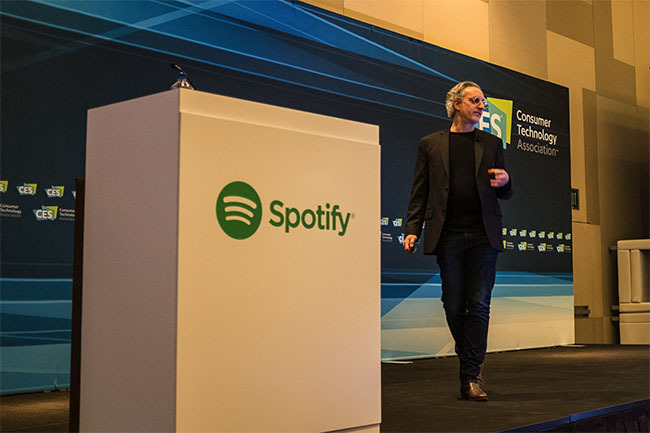 “If content is king, then context is God, If context is God then data is its religion,” said Richard Frankel, Creative Director of Spotify, who spoke during the C Space Storyteller sessions. Data was a theme throughout the sessions aimed at marketers. Data plays a central role in the rise of programmatic, in cross-device attribution, and in how Spotify provides a remarkable customer experience. Here are 5 data-driven takeaways for marketers from the first day of CES 2016. In Frankel’s session, “Adventures in Storytelling,” he told a remarkable story around how Spotify uses its data to help tell a unique story and create personalized experiences for its users. Check out Spotify.com/2015 where you can get a personalized, detailed analysis of your listening behavior over the past year -- Spotify can tell you everythng from the first song you listened to in 2015 to the song you listened to the most. Frankel also talked about the remarkable way that Spotify was able to launch The Beatles catalog on the platform, where the band, which broke up in 1970, quickly became the top streamed artist by leaps and bounds. Using its own unique data, Spotify was able to feed real time information to the press for coverage on how Spotify users were responding to availability of The Beatles. For instance, Spotify’s data showed “Come Together” was the song most streamed by users -- and this kind of information differentiated Spotify from the other streaming services who also launched the Fab Four’s cherished catalog. The Takeaway for B2B marketers: Use data to create helpful and insightful experiences for your customers and prospects. During the “C Space Storyteller: Rocket Fuel and Glenfiddich,” Rocket Fuel CEO Randy Wootten showed a chart projecting that programmatic TV spending will grow from $1 billion today to $12 billion by 2020. Programmatic TV is similar to programmatic buying online: It uses the same principles, leveraging data to serve targeted ads to individual consumers. “All four of us could live next door to each other, and we could all see different ads while watching the same program,” said Adam Gaynor of Dish Network, who was on the Rocket Fuel panel and aided in Glenfiddich, a distiller of single malt scotch whisky, in its foray into programmatic TV advertising. Michael Giardina, Glenfiddich’s senior brand manager, said programmatic TV was efficient and eliminated a recurring problem with traditional TV buys: “There was a ton of waste,” he said. The Takeaway for B2B marketers: The benefits of data in digital marketing are becoming increasingly common in other media. The year of mobile finally arrived, and it was 2015. 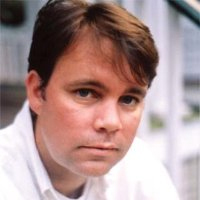 “We’re past the hype (for mobile),” said Michael Treon of AOL Platforms. “What’s after hype. It’s standard at this point.” Not only are mobile phones are increasingly universal, they are almost a perfect proxy for the individual. “The device is personal,” Treon added. “It is the way to target the individual.” Platforms are getting to the point where they can discern when an individual has moved from a smartphone to a tablet to a laptop. And marketers can use this data to target personalized messages to individual consumers, no matter what platform they’re on. The Takeaway for B2B marketers: Customers want a seamless experience on smartphones, tablets, laptops, in person, and on the phone -- and the technology exists to give it to them. Despite the excitement that having access to and deciphering big data brings, there is still a looming fear of the creepiness factor. At what point do we draw the line between distinct personalization and invasive stalking? “If you’re genuinely helping me then it’s no longer instrusive,” said Ash Sobhe, CEO of R6S, in his session, “Viral and Social Media in Entertainment and Advertising.” He proposed an example: Perhaps he was shopping for a mattress at a store, about to make his purchase, when an ad pops up alerting him that the same mattress was on sale at a different store for $200 cheaper. When you use your data to be genuinely helpful, it will be warmly welcomed and build goodwill with your audience. The takeaway for B2B marketers: Find out what your customers want and use your data to help them, rather than going for the hard sell right away. Five years ago, advertising was a simpler business. The panel, “Transforming Contextual Advertising and Media Platform Relationships,” explored one aspect of how marketing has grown more complex (and often more effective): contextual advertising. This technology can be a double-edged sword: We want to deliver hyper-personal and relevant content, but if we leverage the data for micro-segmentation do we risk losing our broader mass marketing brand and voice? In the end, the panel said we should focus on simplification. Instead of allowing behavioral data to paralyze us, we should use data to discern what's working and what's not. The Takeaway for B2B marketers: Big data is intimidating. Focus on small data to determine what’s working in your marketing, and double down on those tactics. Special thanks to my people, Alex Rynne, Megan Golden & Jason Miller for contributing to this post. For more coverage of #CES2016 this week and the rise of data-driven marketing throughout the year, follow us on Twitter @LinkedInMktg and subscribe to the LinkedIn Marketing Solutions blog.